World Blood Donor Day is designed to raise awareness about the need for safe blood donations and thank volunteers for their donations. True to its commitment to the community of St. Lucia and in observation of World Blood Donor Day, International American University, in association with St. Jude Hospital Blood Bank Services and Victoria Hospital Blood Bank Services, will host a Mega Blood Donation Drive on Thursday, 14th June 2018. The event will begin 9.30 a.m. and will take place in front of the IAU Campus Building in Vieux Fort. 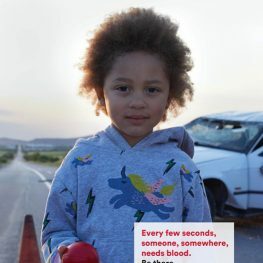 The event serves to thank voluntary, unpaid blood donors for their life-saving gifts of blood and to raise awareness of the need for regular blood donations to ensure the quality, safety and availability of blood and blood products for patients in need. This is the 10th year since IAU has been hosting blood drives to observe World Blood Donor Day. In 2013, a total of 63 units of blood were donated to St. Jude Hospital Blood Bank Services and Victoria Hospital Blood Bank Services. This year the university would like to match and hopefully surpass that amount. The event is open to the public and the university hopes to inspire the community to give back and help save lives.